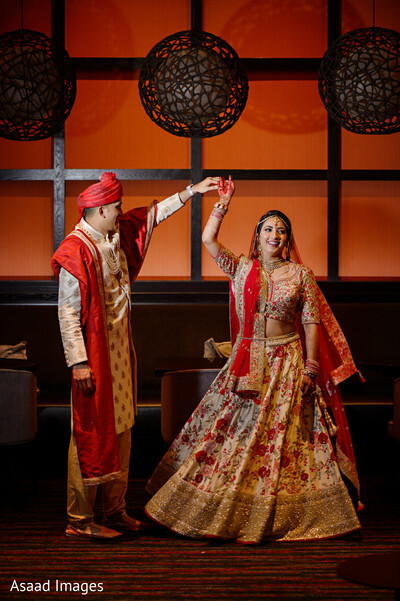 Chandni and Ankur married at the place they met and fell in love eight years ago, the University of Maryland, their wedding celebrations were held on the very same location! 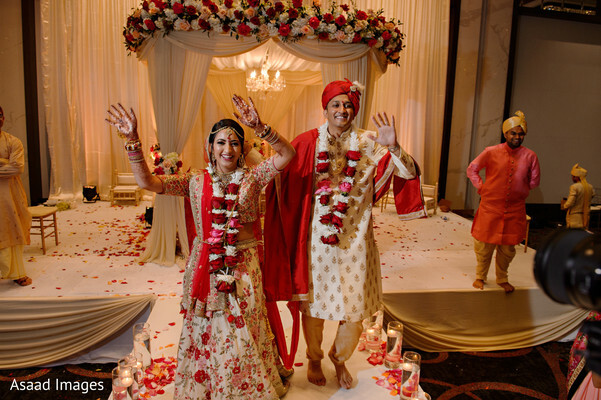 The significant spot was the beautiful Hotel at The University of Maryland and no doubt it was the perfect spot to gather their friends and family for their special day! 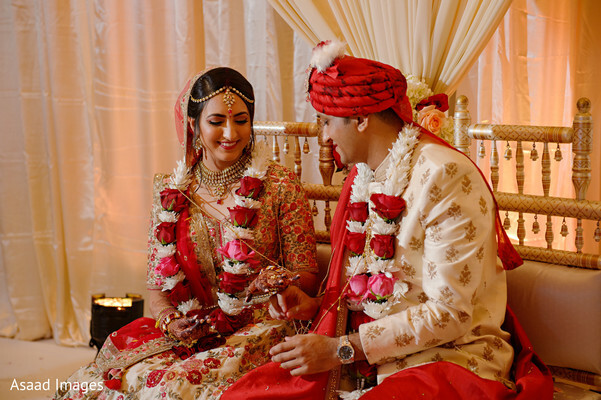 Liz Decorations designed the exceptional ceremony décor that consisted of an elegant round mandap festooned with gorgeous floral arrays and the lovely floating candles down the aisle provided extra light to the inviting ambiance! 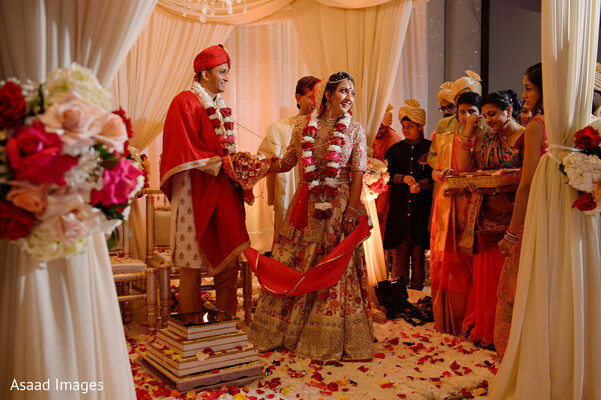 Chandni had an awe-inspiring entrance, looking ravishing in a floral lehenga design and a radiant makeup look by Makeup by Mala, meanwhile, Ankur picked a stunning sherwani for sporting out the royal look! 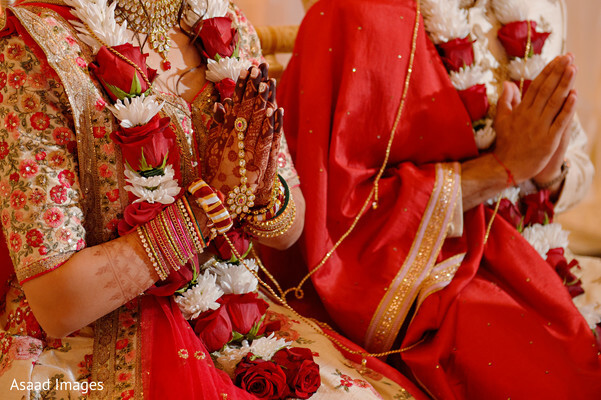 Avec Lumiere Productions was the brilliant crew that turned each moment into a cinematic experience, giving the newlyweds the chance to remember each scene with affection for many years to come! 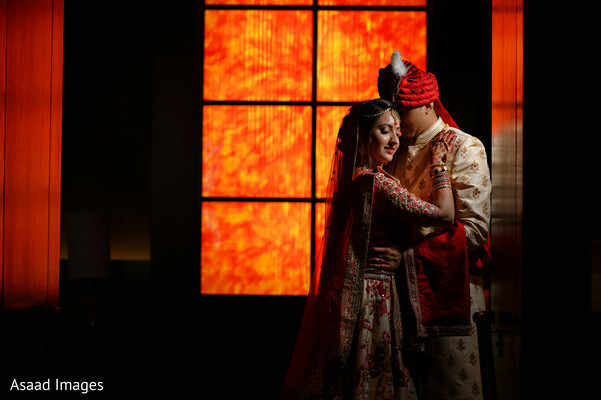 Check out the snaps by Asaad Images that completed the footage in our full gallery! 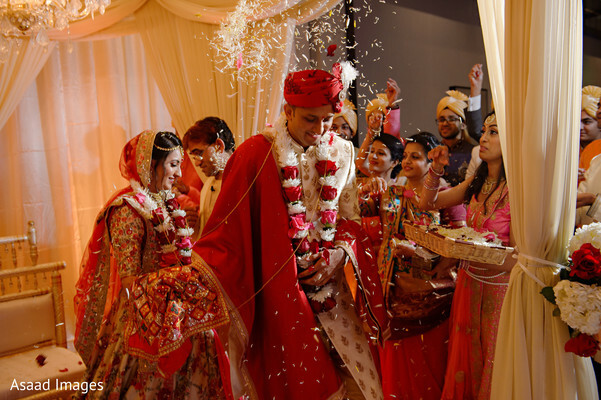 Do not forget to stop by for our following feature to see the fantastic reception of today’s lovebirds! 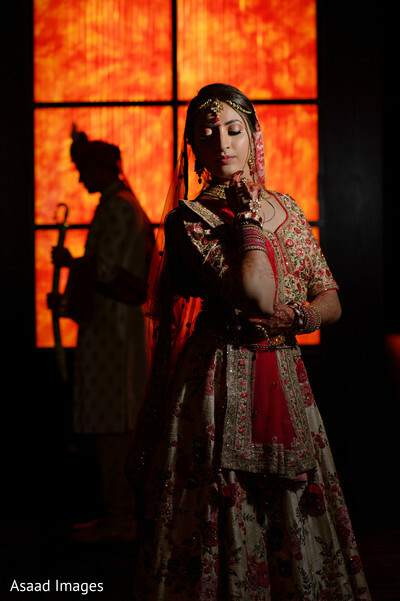 Bhavna’s Henna and Arts, M4U Events, Avec Lumiere Productions and Chowpatty Catering are members of the Platinum Guide. Love what you see? Explore their portfolios.